One of the challenges of any talk is the wide experience of the audience. The same is true in writing this blog. 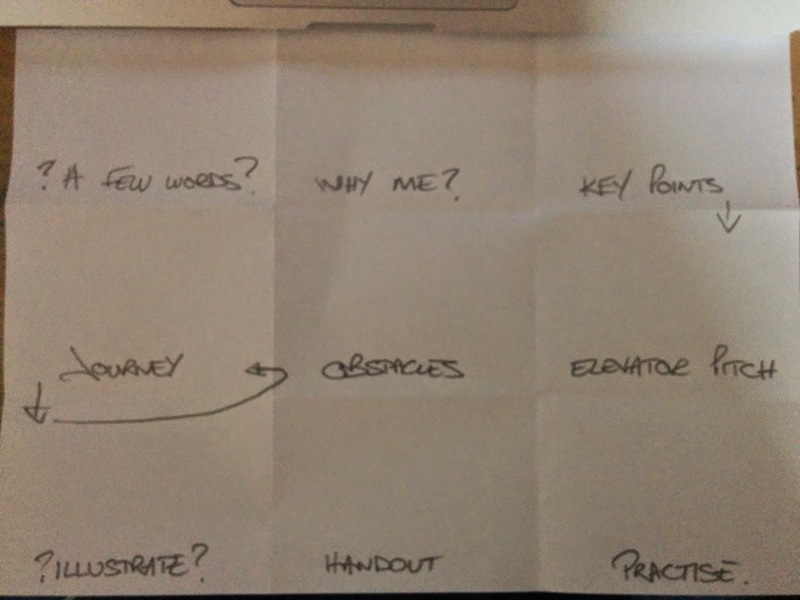 I recently was privileged to be interviewed by @ccpractitioner for a blog post on presentation for beginners at http://www.criticalcarepractitioner.co.uk/ It struck me that my thoughts do not necessarily make it easy for people starting out on their presentation journey. This is my mistake and I will rectify this. The commonest, First Presentation for most people is a “teaching session.” We are approached by a senior and asked to “give a few words next week on x (insert topic of fear)”. There then follows a difficult week of balancing work, social life (!) and frantic preparation for the 10 minutes of dread. There is no time to pay attention to some erudite fool writing a blog espousing text free presentations based on a captivating story illustrated with beautiful images and a crafted theme practised numerous times before the big day. So, some thoughts on this. Have a read through and follow the links to more expanded ideas on some of the steps. Share it widely. Firstly go and read something on X. Seriously, unless you really are an expert, you do need to do some reading! The commonest mistake is to have your slideware programme turned on and enter data as you go. Turn it off, just read. Then get a pencil and paper and think for a while. This really will benefit you. I know you’re stressed and think there isn’t time for this. Trust me? The numbers in brackets represent the amount of time this will take and includes three full run throughs. The total is 72 minutes. IF you follow this plan, you will have an awesome presentation. If you just dump text into powerpoint, that’ll probably take you 20 minutes. I think you find your reward is greater than those few minutes. The simplistic view is everything that can be known, ever on x. And nothing! Actually the main purpose if for you to construct a presentation and gain experience talking, the knowledge is more of a side issue. Start with the needs of the audience. Who are they? Why are they in that room with you next week? What do the audience need to know about this subject that can be transferred effectively in such a period of time? Already the spread of knowledge on the matter becomes apparent. It may be there are seniors there who have even written text books on the subject and people with a lot less knowledge than you currently. “Covering” a topic is therefore impossible. Clearly there will be a requirement to at least introduce the basics of the topic but the value for the audience is more often in your personal input on the matter. Reading a textbook is quicker and more efficient than listening to any speaker so as a speaker you must consider a different position on the matter. This will allow you to work with the topic but develop an idea or an opinion. This will force the audience to engage with your presentation, even if to disagree, and give you a purpose to your presence rather than simply a topic. X is a topic wider than the east is from the west. If you have a single thought to work around you can discuss various aspects of X in relation to this. This highlights your knowledge, your reading and challenges thought on the matter. “My big problem with X is…” “A controversy in X is…” “The last time i saw a case of X i forgot…” “X is like cricket because…” “X makes no sense to me because…” All these are more engaging that “X.” Chose an angle that engages, states a position, challenges, highlights conflict, contrasts or questions the simple and use this as a basis to construct an argument. The elevator pitch is discussed here. Please read it. Effectively you must write three sentences that encompass your whole discussion from your key point and should leave the audience saying, “Tell me more?” Go on, get writing! Three sentences, not more. Read it out loud, send it in a tweet. Make it better and then write it out, by hand, clearly on a sheet of paper to have by your side as you do the rest. What is it about your key point that people will NOT agree with? Define the main three obstacles and your progress around them. Your aim is to counter those arguments before they arise. This will give you a simple structure. It is not essential to script your journey. This actually hinders you. By plotting the large steps it will allow you to see how the elevator pitch will be worked out. Personally I use A4 sheets of paper folded into 3 vertically and again horizontally. Write the steps, no more than 3 per point and no more than three points. With an introduction of your key point and summary you should have 11 steps. You’ve got more than 11 steps. You do. That’s too many. Trust me, it is too much and you won’t cover it. I know you think those other points are really important too. They are not. You need to cut it down. Firstly, if you have a ten minute slot you should only aim to fill seven minutes. Re-read you elevator pitch and get rid of about half of what you have written. You’ll see the value in the end, less is more. With your elevator pitch in your hand, consider the order of each step. IS that the best or would that be better coming after that and as a lead up to that? Get a fresh sheet and in the bottom of the boxes write 2 or 3 words that cover the step. The temptation is to use text for each point of each step of the three points. This will lead to you reading it out, facing either the screen or your laptop. It will. The reality of this is covered here. If you absolutely, absolutely must, then go for a single word for each of the three points. The temptation is to make one word into three and then you have a sentence and before you know we are back to reading it out. Be brave, illustrate, don’t annotate. Once you consider the plan as a whole you will see the relative redundancy of much of what you have planned and that a single image covers it much better. Try to understand that this is not your script and so images make better prompts and stop the audience (and you) reading. I fully recognise that time is short but running through your presentation three or four times will give you much more confidence and engagement than reading it out to the audience. They are after all not nursery school children. Practise and feel free to edit it, move things around and change. Importantly this does not mean, in your head reading it out to yourself. It mean standing up, at least at the other end of a table from your laptop and performing. It makes a huge difference. Then do it again, and time yourself. If you are not under seven minutes you have too much. Go back to No.7 There is never an excuse for over running. Brutal edits are required. Do it. Practise again this hugely improved presentation.